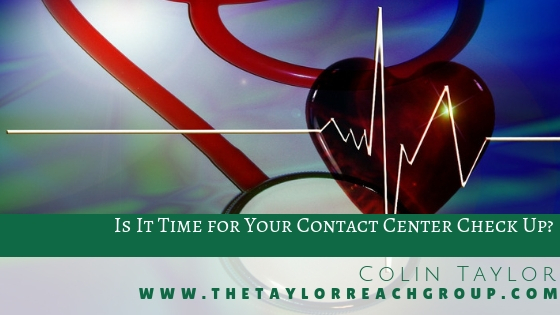 Is It Time for Your Contact Center Check Up? | The Taylor Reach Group Inc.
What I tell these call center operators is that to be effective they need to know their center. At this point I get a look of indignation: “Of course I know my center, what are you suggesting?” They are thinking and assuming that this consultant has finally lost touch with reality. But what I mean is that to be effective you must really, really know and understand your operation. There is a Zen dialogue where a student asks the teacher what the secret to meditation is. The teacher tells the student the secret is Attention, “what is attention,” the student asks and the answer from the teacher is, “Attention means Attention.” We must pay attention to each and every activity in the center, every day. While this sounds simple, or at least simplistic, this can be a huge challenge. Most managers manage from point to point in a sequential process: “OK, today I will focus on the new cross selling initiative and tomorrow on agent occupancy and then Thursday on the forecast revision that we need to do based upon the new marketing materials we are using next quarter.” This sound perfectly reasonable; and it is, but it reflects our linear and sequential management approach: first this, then that and later the next thing. This approach is great for knocking tasks off a “To Do” list, but by its very nature it ignores all of the other aspects and activities that are not on the “To Do” list. Fire Fighting or Fire Prevention? We know that there are literally thousands of activities that take place in a call center. Each call may involve tens or hundreds of discrete activities, knowledge points, applications, processes, clicks and keystrokes. It is these activities that are the “meat and potatoes” of a call center operation. It is also these activities that receive very little attention until something goes wrong. Once there is a problem then the specific activity in question is a candidate for inclusion on the to-do list. For many organizations the to-do list devolves into little more than firefighting: dealing with crises rather than proactively improving the call centers’ operation (fire prevention, as it were). But given the vast scope of potential customer interaction activities in the call center, what other options are there for staying on top of the thousands of moving pieces that are occurring in real time every minute of every day? How do we effectively manage these interconnected processes and systems; the thousands of moving parts that make up every call center? I suggest that we look at how we manage the most complicated interconnected, technology intensive and integrated entity we possess: our bodies. The human body is comprised of “thousands of moving parts,” interconnected and interdependent systems. While we are the operators of our bodies, we see an expert, our physician, each year for a checkup. This is where we discuss all of the things that aren’t working as we would like and look for solutions. We know that the way we operate our bodies results in various outcomes; we are genetically predisposed to some diseases and others we cause with our lifestyle and environment. The same is true for a call center; the company we work in, even the vertical or industry can make us more susceptible to certain call center maladies and others are purely the result of our own actions or inactions. Just as a complete and thorough physical seeks to assess the function and capabilities of our bodies individual systems, our concerns and questions lead a trained professional (our doctor) through a sequence of questions to uncover root causes rather than just the symptoms. A call center Assessment or Audit seeks to test and assess all of the systems, processes at work in our call center. 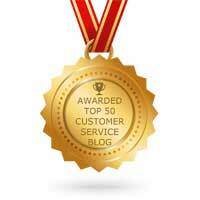 Completing a call center assessment annually is great way to ensure long term sustainability. Are we doing them in the right way? Are we doing them in the right location? Should we be looking at alternatives, for instance home agents or outsourcing? These four “pillars” cover all of the activities within a call center and all of the moving parts. By overlaying the assessment process over top of the four “pillars” it is possible to produce a report card that illustrates how the center s performing today opposite each of the four ‘pillars’ and to identify the opportunities for improvement. In much the same way as your doctor will administer blood tests, X-rays, EEG and EKG tests to determine your relative state of health, the Audit or Assessment conducts numerous tests to determine the health of you contact center. Your doctor then makes recommendations to improve your health: get more exercise, watch what you eat etc. The Strategic Assessment makes recommendations to improve your call center operational heath: fix dysfunctional processes, correct alignment conflicts etc. Employing a traditional approach to annual review/assessment generally takes between 2 to 5 weeks from start to finish depending on the size and complexity of the center, or centers and usually not more than a few hours of management effort to answer key questions, a few days (2-5) on site with the assessor inspecting and reviewing key details, stakeholder interviews and detail analysis. The final report should be forthcoming with a detailed presentation to senior officers. Recently there has arrived on the scene an alternative to a traditional assessment or audit and that is a SaaS (Software as a Service) offering which allows you to assess or audit your own center. This is allows a center to complete an assessment at a fraction of the price of a traditional audit. Regardless of how you complete an audit, the result can provide you with a road map for operational change that is grounded in your call center, your company and your goals and objectives. This degree of specificity isn’t possible through benchmarking or best practices alone, but only when completed as a part of an overall assessment. Failure to conduct regular assessments of your call center can result in missing a diagnosis early on when chances of correction are best (and easiest), continued erosion in terms of performance, and increased costs, all of which can negatively impact on customer satisfaction brand loyalty, market share and ultimately our own career prospects. Follow Taylor Reach and Colin Taylor on Twitter at @Taylor_Reach and @colinsataylor. To find out more about how Taylor Reach can help your company with your Customer Experience (CX) Health Check, CLICK HERE to schedule a free consultation.